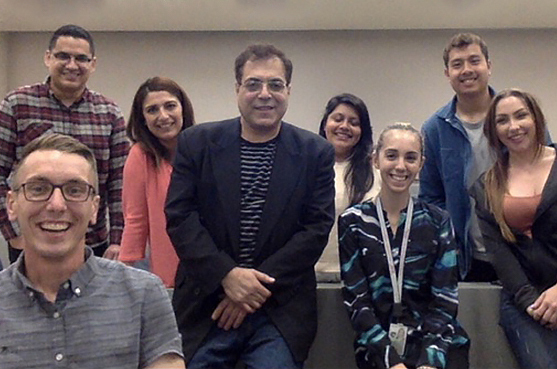 Abraham Khoureis ’04, ’06 (center), who is working on a book about accessibility titled Reasonable Accommodation, teaches a class on organizational behavior at the Burbank campus of the U of R School of Business. Khoureis teaches a course on organizational behaviors at the University of Redlands, Burbank campus, and is working on a book about accessibility titled Reasonable Accommodation. Learn more about Abraham Khoureis.